As you can see I’ve not posted anything here in nearly two weeks. I’m still removing stuff but the process has slowed considerably. I have yet to really dig into the garage. That will be quite a challenge. The closet is coming along but it will be a while before I can take an after shot. One theme I plan to introduce to the blog is money. Having a lot of stuff you don’t need means most likely that you spent money to get it. 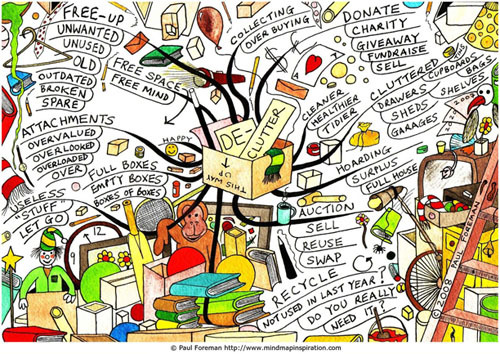 Clutter has a dollar value and those dollars could go, in my case, into savings and retiring debt. Waking up to what’s around us, how it got there, how to get rid of it and what to do with the space once we’re done is not an easy process. Usually you have to disrupt that self-lulling constantly. It’s kinda like P90X, but for clutter. This is Sylvia Hernandez. 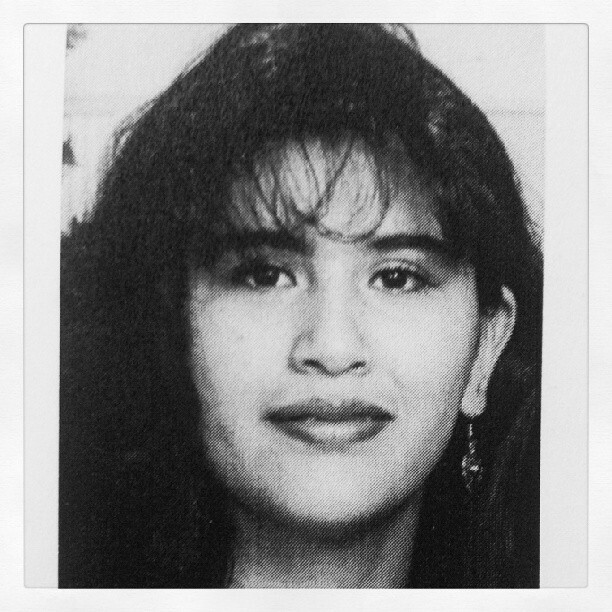 I worked with her for a couple of years until she was murdered on a Saturday in 1998. This is the photo that was on her work ID. I had a printout of it with some papers. We weren’t really close but her death hit everyone pretty hard. Instead of keeping the printout I took a picture of it and threw out the printout with the rest of the papers. I’m doing the same thing with some things I take to sell or donate. I got the idea from Bruce Sterling’s Last Viridian Note where he says, “You should document these things. Take their pictures, their identifying makers’ marks, barcodes, whatever, so that you can get them off eBay or Amazon if, for some weird reason, you ever need them again.” I don’t intend on purchasing most of this stuff again. In fact I haven’t made that many photos compared to the amount of junk I’ve removed from here. Space is priceless. I’ve sold a lot of books in the past few weeks as I’ve continued cleaning. Some I have donated to Goodwill but most I’ve sold. No one gets much selling used anything and that’s certainly true for books. There were times in the past when I’d refuse the offer, saying the stuff was worth more to me. Now I accept whatever they offer. Space is worth more.